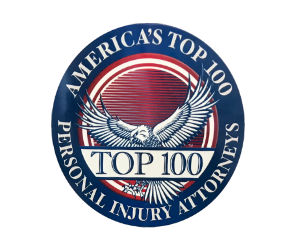 The attorneys of Phillips Law Offices are considered among the top spinal cord injury and brain injury attorneys in Illinois and the nation. Our law firm represents traumatic brain injury victims and their loved ones as they seek justice with a personal injury lawsuit. As one of the Midwest’s premier personal injury law firms, our car accident lawyers have secured multimillion-dollar settlements and verdicts for patients who have suffered head injuries, spinal injuries and other devastating, life-altering injuries. After more than 65 years, our lawyers continue to help injury victims, protecting their legal rights and advocating aggressively on their behalf, whether we’re negotiating a settlement or litigating their case at trial. Common Questions for Our Personal Injury Lawyers: What is a Traumatic Brain Injury (TBI)? Traumatic brain injury (TBI) refers to an incident of trauma, such as a car accident, fall, assault or impact that results in injury and trauma to the brain tissue. TBIs are distinct from some of the other non-traumatic forms of brain damage that could result from oxygen deprivation (hypoxia), metabolic disorders, infection or illness. This type of head injury is complex and can result in a broad spectrum of symptoms and disabilities. The impact on a person and his or her family can be devastating. TBI is a common injury and may be missed initially when the medical team is focused on saving the individual’s life. Unlike other areas of the body, brain cells cannot regenerate, so any damage to the brain is typically permanent. Although it should be noted that traumatic brain injury can result in swelling and once that swelling recedes, function can return. What’s more, physical therapy and rehabilitation can result in some improvement and recovery since functioning portions of the brain can be re-trained to compensate for damaged regions. Prior to the invention of respirators, modern surgical procedures and technology to monitor brain activity and intracranial pressure, the fatality rate associated with traumatic brain injuries was extremely high. Medical technology has undergone many advances and improvements in recent decades, but the effects of TBI can still be significant and life altering. What Causes a TBI? And How Long Does Traumatic Brain Injury Last? The causes of TBI are diverse and numerous. The top three causes are car accidents, firearms and falls. Firearm injuries are often fatal; nine out of ten people die from their injuries. Any impact to the skull can cause a head injury. TBIs can arise due to bleeding and swelling that create elevated intracranial pressures, which compress the brain tissue to a degree that causes permanent damage. In the case of many impacts, such as a car crash, the brain tissue may impact the interior of the skull, causing contusions, swelling and hemorrhaging. A traumatic brain injury typically results in permanent damage, although there may be some improvement in the patient as blood clots are surgically removed and intracranial pressure and swelling recedes. Notably, in the case of minor head injuries such as concussions, the permanent damage to brain cells may not be apparent and noticeable, although there have been many reports of individuals who experienced brain injury-related abnormalities and even major personality changes as a result of suffering numerous minor head injuries. Since brain cells cannot regenerate, the effect from minor head injuries tends to be cumulative. Who is at the Highest Risk for a Serious Head Injury? According to The Brain Injury Resource Center, as many as 300,000 head injuries are reported each year in connection with sporting activities. These injuries range from relatively mild concussions to severe closed head injuries. Individuals with a traumatic brain injury are also more susceptible to spinal cord injuries, which often go hand-in-hand with head injuries, particularly in cases involving motor vehicle crashes, firearms and falls. Consulting with a trusted Illinois accident lawyer can help you understand whether you may have a viable legal claim. What Can Our Lawyers Do to Help With Your Brain Injury Lawsuit? Computer and animation experts to depict various issues in cases and powerfully communicate their importance. A traumatic brain injury can literally impact virtually every aspect of an individual’s life, from their ability to walk, talk, see, hear, remember and learn, to their ability to understand and interact with the world around them. Due to the vast spectrum of effects that you may see with a head injury, no two TBI lawsuits are precisely the same. Our personal injury law firm’s experienced car accident lawyers work hard to gain a firm understanding of your unique case and how the injury has affected your life. Traumatic brain injuries are serious, complex issues. You may need additional help to care for yourself or a loved one who’s been suffering, and this is where our law firm can be of assistance. Our goal is to help you recover compensation for your medical bills, lost wages, pain and suffering, and costs for future expenses such as home care, adaptive equipment and other essentials that may become necessary following a serious head injury. We also represent clients who’ve suffered a spinal cord injury. Spinal injury attorneys at Phillips Law Offices offer comprehensive legal services for our clients in need. Call (312) 346-4262, or contact our Chicago personal injury lawyers online today to schedule a free consultation to discuss your case.